Children all over the UK have been going back to school this week. Children in Uganda are also beginning going back to school this week, but sadly for many of the children that we work with, school is simply not part of their daily lives. Having to pay school fees make it impossible for many poor families to afford to send their children to school. On top of this, the costs of providing school books, pens, pencils, uniform and shoes mean that school and an education is simply unattainable for some of the poorest children in Uganda. Not going to school doesn’t only mean that children miss out on getting an education and have less chances of finding employment when they are older thus breaking the cycle of poverty; in Kampala’s slums, children without anything to do or anywhere to go during the day often get caught up in gangs, child labour, petty crimes or worse. Going to school doesn’t just mean that children get the opportunity to learn, it also means that they have somewhere safe to go, where they can learn alongside peers and have a proper childhood. Our School Sponsorship programme helps some of the neediest children in Uganda to go to school and receive a good education. And we are very proud to say that thanks to our School Sponsorship programme, this September over 100 children will be going back to school! This is thanks to our amazing Child Sponsors who have committed to supporting a vulnerable child to have an education. This doesn’t just mean that their school fees are taken care of; children are also supported with school requirements, uniform, medical care and counselling when needed. We want every child that we work with to have hope for a bright future. However, there are still hundreds, if not thousands of children in the slums of Kampala who do not have access to education. Could you help? 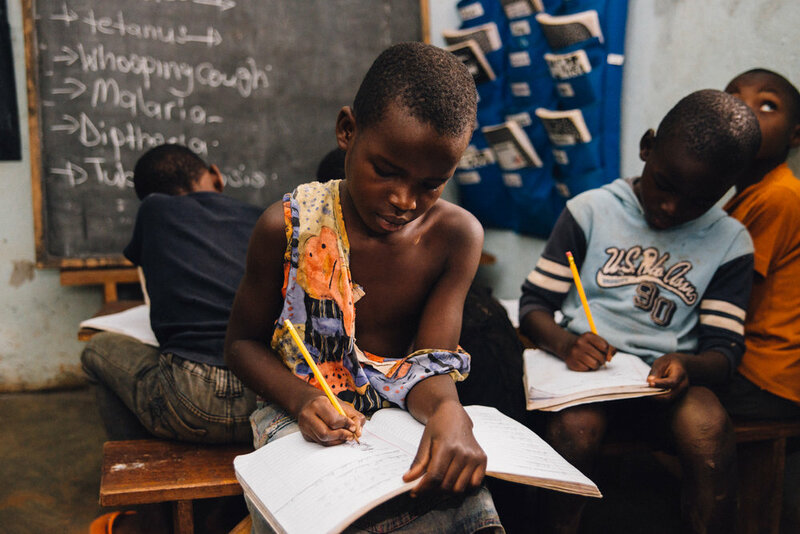 Could you sponsor a child to go to school, enabling them to gain the tools to break the cycle of poverty? To sponsor a child it costs just £25 a month. If you would like to become a child sponsor please fill in a Child Sponsorship Form and return to us, or get in touch if you would like any further information. Thank you. Newer PostOur Ewafe Children Need Your Help! Older PostThank you for taking part in our fundraising survey!